This intensive 40-hour course is designed for professionals and others who are interested in developing mediation and conflict resolution skills. Participants will learn the eight-stage mediation model, conflict theory and styles, mediator communication skills, and principles of conflict resolution. Combining theory and practice, students will also participate in mock mediations and receive a certificate of completion after the course. Need financial assistance? We provide partial scholarships for students who can provide volunteer support for the class in exchange. Click here for our Financial Scholarship Application. Contact the Program Coordinator at 360.676.0122 or training@whatcomdrc.org for more information. Continuing Education and CLE Credits may also be available. Spring Session is currently full. We are now accepting registrations for our wait-list. Course Fee: $650, or $595 for those registered by the early bird deadline ($100 non-refundable deposit needed to register). Spring Early Bird Registration Deadline: April 9, 2019 at 5:00pm . Full balance must be paid in full by the deadline to take advantage of the Early Bird Rate. To register, call (360) 676-0122 or fill out the form below. a. Cancellations made more than 4 weeks in advance of the first session (prior to the early bird deadline) are eligible for a full refund, less $100 deposit. b. Cancellations made within 4 weeks of the first session, will not be eligible for a refund but may be able to transfer registration to a future training, pending space availability. Register now for the Fall 2019 session. Please share your interest in taking this class. How do you hope to apply what you learn from this workshop? Please comment on any previous workshops you have taken in conflict resolution. Thank you for your interest in our Fall 2019 Professional Mediation Training. All scholarship applications and Early Bird Registrations are due by August 30, 2019. Payment can be made in person, by mail, or by phone. If you have any questions, please contact the Training Coordinator at training@whatcomdrc.org or at 360-676-0122. We look forward to having you in our class! Interested in taking this class for professional development? Download information to send to your supervisor here. Moonwater is an experienced mediator, facilitator, and trainer. She holds an MPA from Seattle University, where she specialized in non-profit management, and a BA in Psychology from Whitman College. She is co-president of Resolution Washington, and a past board member of the Washington Mediation Association. She currently serves on Whatcom County's Incarceration Prevention and Reduction Task Force, the Bellingham-Whatcom Commission Against Domestic Violence, and Washington State's Charities Advisory Council. Currently, she is the Executive Director of the WDRC and has enjoyed teaching students the art of mediation for the past 14 years. The WDRC offers a practicum for individuals interested in becoming certified mediators. The WDRC upholds stringent standards for mediators-in-training in order to ensure that the service our clients receive is high caliber and professional. The majority of our mediation services are provided by volunteers. 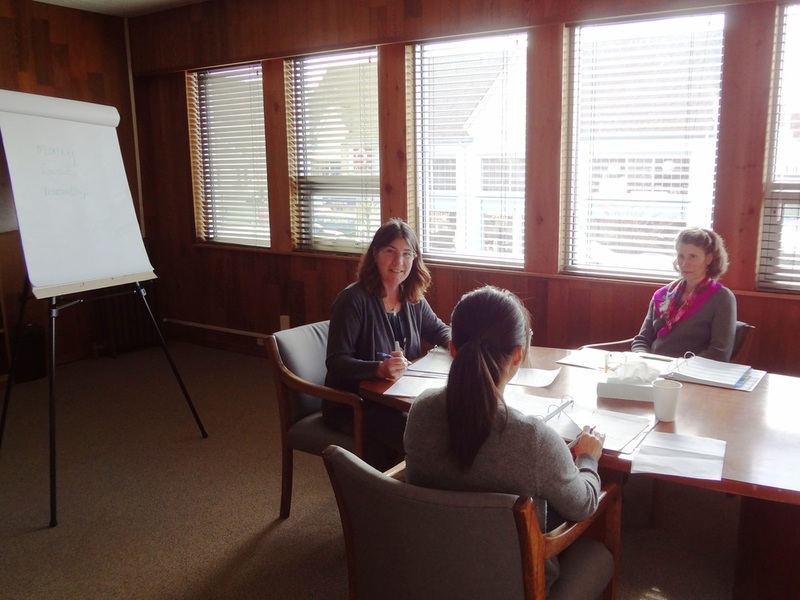 At a minimum, all of our mediators have completed the professional mediation training, and a practicum program in which they have been evaluated and certified according to the standards set forth by Resolution Washington (statewide association of Dispute Resolution Centers) and the Washington Mediation Association (WMA). Our practicum is an approved WMA Practicum Program. Our family mediators have taken at least 24 additional hours of advanced training, and completed an additional practicum program. Many of our mediators also have backgrounds and experience in human resources, law, healthcare, education, and community planning, which enhance their skill sets and sensitivity to a variety of different types of disputes.